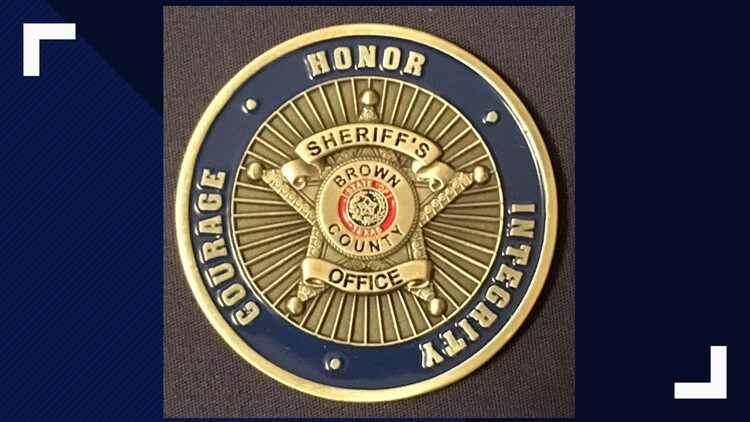 BROWN COUNTY, Texas — A Brown County man led deputies from the Brown County Sheriff's Office on a brief chase after members of his family called law enforcement, saying the man had threatened to harm himself. The threats occurred Thursday after Billy Gay Waddle II's wife, Rachel Harris, a fugitive from Florida, was arrested on a charge of possession of methamphetamine. According to an affidavit from the BCSO, after Harris' arrest, Waddle, who was present at the time of the arrest, was uncooperative with law enforcement. Waddle allegedly posted online threats and derogatory remarks aimed at one of the arresting officers. The arrest affidavit also states Waddle posted "Somebody ain't gonna make it through the night and it may be me." Waddle's estranged wife contacted the officer and told him she took the threats seriously and was in fear for her safety. On Friday, a mental health deputy reported Waddle visited his estranged wife because "he was concerned for her welfare." A report was taken from Waddle's wife. At 11:30 a.m. Friday, Waddle's daughter called the law enforcement center to report Waddle had called her and told her to "call the cops because I'm going to kill myself." The daughter also told officers that Waddle had "smoked meth and acting crazy" and that he possessed firearms in his home and vehicle. The call was relayed as a suicide attempt. Deputies and a lieutenant from the BCSO traveled to Waddle's residence on US Hwy. 183. While en route, they saw Waddle's vehicle traveling south on US 183 and attempted to intercept him to conduct a welfare check. Waddle failed to yield for officers and continued to disregard the lights and sirens, continuing south on US 183, at times, reaching speeds of up to 80 mph, according to the affidavit. As he continued to flee, Waddle came close to having a head-on collision with a patrol vehicle. He then wove through roads to evade officers, but finally pulled into a private driveway on Pecos Street. Waddle refused to exit his vehicle for 23 minutes, according to court documents. After exiting the vehicle and being read his rights, Waddle told officers he didn't stop because he didn't think he had done anything wrong. He told officers he had consumed a handful of methadone pills, so he was transported to a local hospital for treatment. Documents state that during the pursuit, a family member contacted dispatch to advise that Waddle "was going to try suicide by cop." Waddle was charged with evading arrest or detention in vehicle, a third-degree felony.